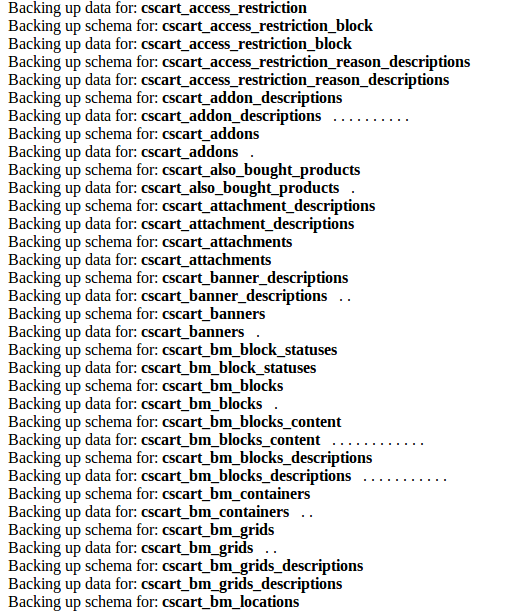 The CS-Cart "Admin actions by Cron" add-on helps administrator avoid regularly performed actions, such as clear cache, clear templates, clear thumbnails, clear logs, backup database, optimize the database. The administrator is able to set the password for a script to exclude performing the actions of unauthorized users. Please, pay attention to our new Automatic Administrator Tasks add-on that allows setting more routine operations, e.g. data export, files upload, etc. via Cron commands within store administration panel. Please, see details on the add-on official page.